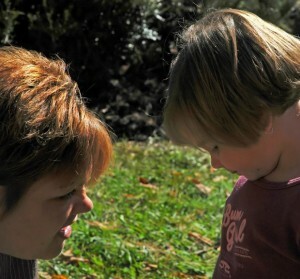 Today’s play-of-the-day, helping kids cope with change, is inspired by a move for our family. Change can be really challenging for kids. They barely have their sea legs coping with what ‘s happening on a regular basis. 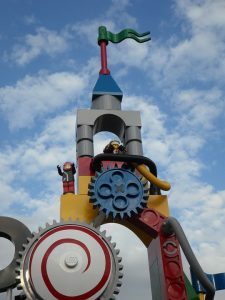 Change can upset the balance and there’s lots of it for kids It might be a new baby brother or sister, a change in the family structure, a different babysitter or care center, or a move to a new house or unfamiliar city. Just the change when a parent doesn’t go to work at the usual time or a babysitter is sick can be a big deal for a child. Major changes mean a whole new world. Helping kids cope with change can be a challenge. For some children, it will be more of an issue than for others and their stress may show in different ways. Once you’ve explained to a child and answered many, many questions, some resources are books and stories. Depending on the concern, check out the local library or bookstore for ideas. If you can’t find a book for what you need, you can make up your own story. 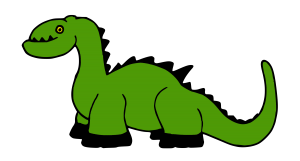 Kids relate to animals so you may want to choose one your child likes and have the animal face the situation. Kids thrive on routines. As much as possible, keep the regular family schedule. Some things change and some stay the same. You may have to name the feelings for the child, not just acknowledge them, especially if you see a difference in behavior or sleeping patterns. Even if this isn’t a concern for your family now, we can help kids feel comfortable with change. If possible today, introduce something unusual. This could be having dessert in a cup or spreading a blanket on the floor for a snack picnic. Maybe everyone could switch places at the table for meal time, just for a change. Having fun with a few changes every now gives kids an opportunity to experience change and practice handling the situation. Helping kids cope with change is a way to build resilience. How do you deal with this? 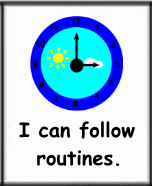 Monday starts the week’s routine; did you know kids need routines? This post explores why and since it’s friendship month, making friends with routines. 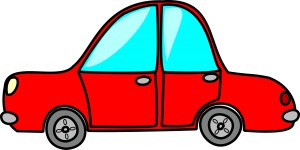 A routine functions like an invisible security blanket. It wraps around a child giving a sense of comfort and familiarity. Kids know what’s coming next, instead of always being surprised. It’s easier to prepare and feel in control. Having to deal with something new constantly can be challenging and stressful. Usually, we think of stress in terms of adults, but one in four kids is affected by anxiety. A routine eases that. As adults, we’ve had years of routines so we can predict pretty accurately how a day will roll. Since kids are new at this, it helps to have clues. 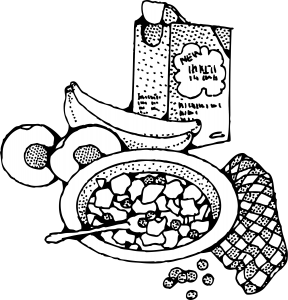 Typically, a routine for kids starts with getting up, having breakfast, and getting ready for the rest of the day. It might be at home, or at a care center. Some play time possibly mixed with a few errands, lunch, maybe a nap, play activities and hopefully, some outside time. Then, the day winds down with the last meal, although with kids that’s debatable, and bedtime. Having a consistent bedtime helps with sleep issues and getting a good rest. Kids play hard and adequate rest is essential. For each part of the day, give kids information about what’s happening next. Occasionally, get mixed up and let them ‘correct’ you. They think this is funny. For instance, you might tell them to wash hands and put on their pajamas for lunch. If you do this a few times on purpose, kids can’t tell when you are lost in space and doing it accidentally. Kids need routines and so do adults. They help brains. Kids need routines. How do you help your child when it comes to routines? The day after Labor Day usually means back to routines. 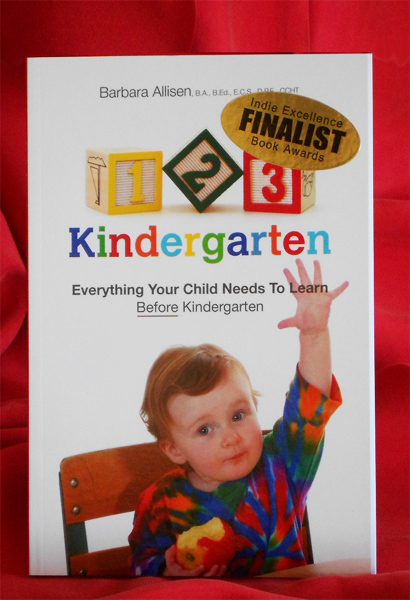 Did you know routines help young children, despite our adult unfavorable opinion of routines? For children, a routine is a sort of security blanket. While they can’t see or feel it, they can use it to feel more comfortable. 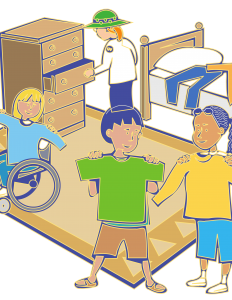 A routine is quite dependable and helps kids feel more confident about handling the day. Both kids and adults like having an idea about what we are likely to encounter. That way, we have some degree of control and can prepare ourselves instead of everything being a surprise. Dealing with constant newness is not just challenging, it’s stressful. Adults aren’t the only ones affected by stress. 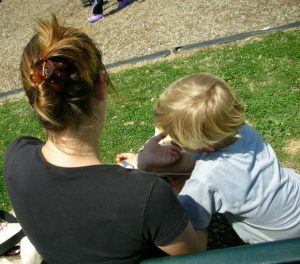 Anxiety affects almost one in four children. There might be something happening in a day that we don’t like, but at least we can prepare for it. Some kids would rather be at home than at school or daycare, but a routine helps. They may start out pretty unhappy but usually the tears stop falling. Eventually, at the end of the day someone will come and get them. A typical routine is getting up and ready for the day, time at home or in a program to play with others, regular snack and meal times, outside fun, and then winding up the day, preparing for the next, and an appropriate and consistent bedtime. There are some resources you can use to establish routines. Clocks with pictures give kids clues about the very basic sleep-awake cycle. Stories and books are encourage acceptance of routines. 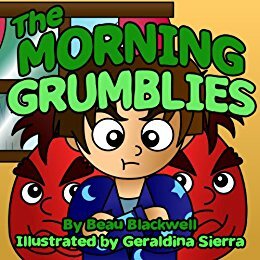 For kids that are sleepy and grumpy in the morning, share “The Morning Grumblies: A Book About Waking up Grumpy” by Beau Blackwell. 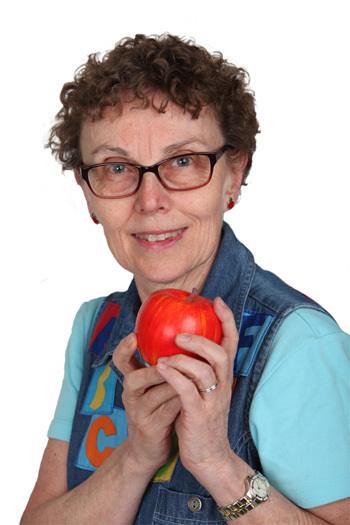 Anna Dewdney writes about wiggles and shakes to start the day in “Llama llama, wakey wakey.” You may want to find pictures on line and make a plan for the day in pictures. Routines not only support our biological clocks and lessen anxiety, they can affect our emotions, success with learning, and relationships. Growth hormone is secreted during sleep when the body can divert energy from “maintaining wakefulness and activity levels, to the function of growth.” Clocks have hands—well, at least they used to. In a way, routines are the hands for the day, pointing us in the right direction at the right time. Routines help young children, and grownups. Maybe they aren’t so bad, after all? 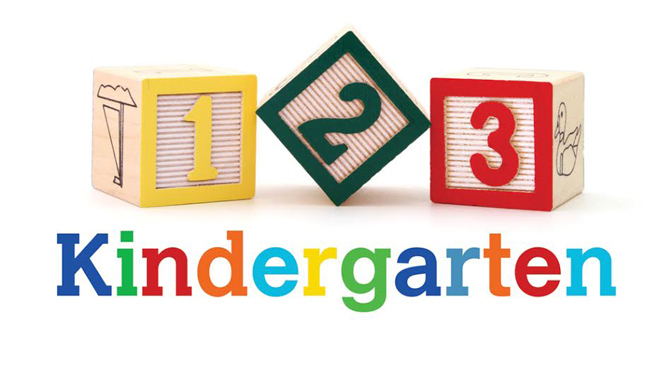 For the rest of the pictures, check the Before I Go to Kindergarten post.